New service to turn your neighborhood into a real village. Watch this: Yesterday's (Fri, 4/28) Startup Show, on Colorado Caucus. Mad as hell, not going to take it any more? Join us, help create a real village. New grassroots organization to be launched in preparation for 2018 Colorado Caucus. Unaffiliated voters in every Colorado precinct to 1) welcome newcomers, inform of Colorado Caucus and who to contact for their party; 2) undertake some monthly or more often neighborhood activity that will help neighbors learn each others name, will vary depending on needs of neighborhood and interests of the volunteer leaders; 3) observe each political party activities in the precinct up to and including the 2018 Colorado Caucus and report on a public wiki; 4) when one or more PCP does an outstanding job of building the neighborhood and being inclusive, nominate for the outstanding PCP of the month; 5) work to preserve and protect our wonderful Colorado Caucus with letters to the editor, leading seminars and workshops, mentoring newly involved Colorado citizens. See draft of possible flier below. to the floor this session. process before a major change like this is adopted. know seems to think they are the only Republicans at the hearing who did so. wonderful Colorado Caucus. Why try it again? push this bill through the way it is being handled. Voters are angry now, in my opinion they’ll be even angrier if 1454 is passed. Thank you for your consideration. Please call me if I can help with this in any way. Ken Wyble joins us for IDEA Cafe Startup Workshop Friday. Listen to the Startup Show, each Friday at Noon. Details on above link. 1454 best considered next session. It's clear to many the fiscal notes of 1454 underestimate the cost of a special election, the so called "Presidential Primary." Washington State has said their similar election in a similar sized state costs $11.5 million and there is no reason it would be less than that in Colorado. Yet the Legislative Council has said it will cost half or less of that here. Also, there has been no explanation of what will happen if an initiative is passed that addresses the same concerns of 1454. These and many other questions need to be answered before this bill is ready for consideration on the floor. With only days left, why not lay over consideration until next session? RE: HB-1454 (AstroTurf of Primary rather than Grassroots Caucus) on calendar for Monday 4/24 by State, Veterans & Military Affairs, 1:30 p.m. I very much hope your committee will discern the absolute waste of the legislature’s time it would be to consider 1454 now. Changes should be considered in an interim study committee. It is my hope that the real problem will be addressed by both political parties, poor leadership trying to get out from under a responsibility neither state chair was equipped to handle. Passing this will just take voters attention off the real problem, not a bad system but incompetent party leadership. Due to that poor leadership, an opportunity to engage newly active citizens in this year of high turnout was wasted. Please vote no tomorrow on HB-1454 in your 1:30 p.m. committee meeting. If you have any questions for me before then please call me. 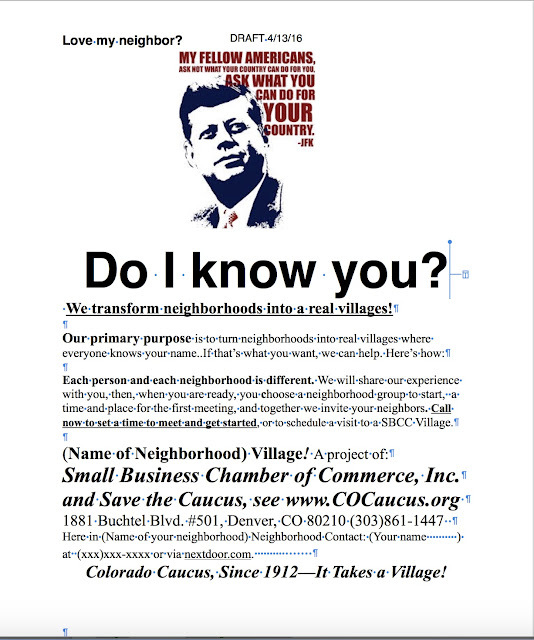 Save the Caucus, a Colorado political committee. GRASSROOTS REVOLUTION: Start Now! Save the Colorado Caucus! It's only too late if we do't start now! Do good today. Trust that little we do is enough with God's help. Encourage others to do the same. That is the essence of misguided legislation introduced today. House Bill 16-1454 will kill the Colorado Caucus. The way it is being promoted is an exercise in double speak. Restore the Presidential Primary? Very misleading description, Colorado experimented with an expensive special election. It was quickly abandoned. No benefit to it then, there will be no benefit now. And we know from that experiment it kills our wonderful Colorado Caucus, the best chance the common person has of serving in elected public office. Urge your Colorado House Representative to vote NO on HB 16-1454. How we started Save the Caucus in 2002, why it's restarted today. Media Release: Save the Caucus! Registered Representative of Save the Caucus. SAVE THE CAUCUS IN COLORADO EXPANDING TO OTHER CAUCUS STATES. elected public office. For more see www.COCaucus.org or call John Wren at (303)861-1447.
ladder to protect their power., said John Wren, one of the founders of Save the Caucus. education effort that will benefit Colorado citizens both now and in the future. via a link on www.COCaucus.org or call me, John Wren, at (303)861-1447,” concluded Wren. 2016 Save the Caucus is not affiliated with the 2002 political committee by the same name, it was discontinued, but the spirit of the group and the individuals is very much the same. Power Play on the Colorado Caucus? Colorado Secretary of State Wayne Williams said today he will join lawmakers at 2 p.m. on the west steps of the Capitol Thursday (4/21) to announce legislation creating a presidential primary, which some predict will kill our Colorado Caucus just as it did in a previous short trial here. Why was this years edition of the Colorado Caucus such a disaster? Poor leadership from the top down. 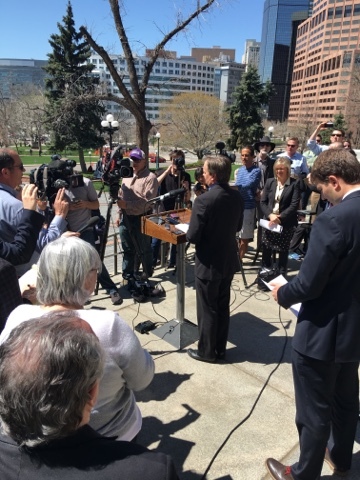 The State Chairmen of both major political parties announced BEFORE this years Colorado Caucus they would jointly move towards such a plan to kill the system that had been entrusted to them. The chaos of March 1 resulted. Our Colorado Caucus, the best chance for the common person to serve in elected public office, has been under attack by powerful forces ever since it was created by Gov. Shafroth and the legislature in a special session in August of 1910. Why not allow time for consideration of this important chance this summer before introducing legislation? What is the rush? Colorado underestimates cost of a Presidential Primary. Some are saying the special election could cost as "little" as $4.7 million, money that could be much better spent in other ways. And many thing that is underestimating the cost considerably. Here's what's being said about Washington State's Presidential Primary: "The state budget enacted this month included $11.5 million to pay for the primary, which had been canceled in 2012 due to cost concerns." For more see our Facebook Page (click here) for the complete newspaper article. Denver's KOA radio just called me. They say I'll be put on the air at 8:10 a.m. this morning. If so, I'll announce what is happening today at 8:30 a.m. with Save the Caucus. As we have previously announced, this has all been a labor of love of mine for the past few weeks, no money in our out of Save the Caucus, only my personal efforts. But if all legislation and initiatives concerning the Colorado Caucus are withdrawn by the end of the day, we will begin raising money, finding and office, and hiring professional staff to Save the Caucus and to then make the Colorado Caucus one of our most important Made in Colorado exports, doing training in Colorado and across the country. If we are on a link to the recording will be posted later today. To: Selected Media and Friends of the Colorado Caucus. proposals that have already been made. should first be encouraged to get together, perhaps in an interim session. Save the Caucus will be asking for this at tomorrow morning's hearing. her's and of the Colorado Caucus. something we've tried and rejected here in Colorado. done the work of being a citizen for decades get drowned out. Colorado voters passed a bill in 2002 to give citizens a voice in selecting candidates and platforms for elections. Now the Colorado State legislators are considering a bill to eliminate that caucus system and go to a primary system. The caucus process allows for grassroots participation for candidates and issues to be heard. The primary system requires more up front money to get the word out and lends itself more to special interest groups dominating our leadership choices. It focuses power in the hands of a few party leaders. If you prefer retaining a last bastion for grassroots participation, please let your state representatives and state senator know and consider forwarding this email to other Colorado friends. This bill will have far reaching effects on our choices. Thank you for your help. Good analysis of Caucus vs Primary from Ari Armstrong. Help us Save the Caucus! Join us Saturday for 1st 2016 steering committee meeting of Save the Caucus. 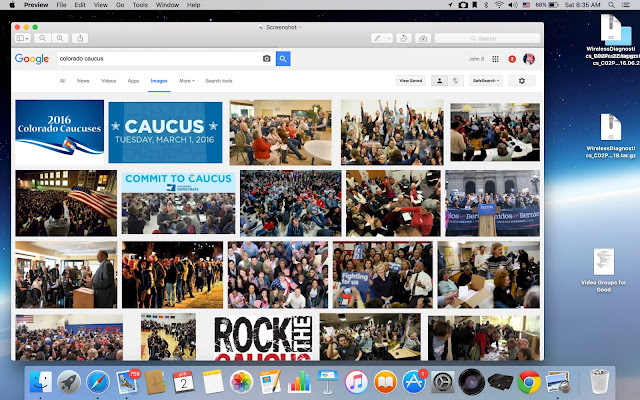 Startup Show: Save the Caucus! 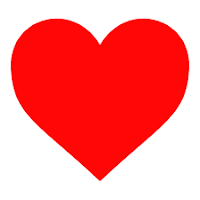 SBCC Soulful Startup Method: +Faith+Imagine+Think+Learn+: Startup Show each Friday, noon MDT: Today (4/15) Thank you Donald Trump and 7 Cs of Success. To be on the show next Friday call Monday or Tuesday (303)861-1447. Denver Post? Still a newspaper? At what point do we call the Denver Post a shopper and not a newspaper? Past owners promoted it with a circus, today with an attack on our wonderful Colorado Caucus. Why? Because a healthy caucus-assembly system levels the political playing field for the common person who wants to serve in elected public office. Colorado Caucus makes it almost impossible to buy elections with advertising. And to a shopper it's all about selling more ads. For more see http://www.Facebook.com/Colorado.Caucus.News Save the Caucus! Going to your State Convention? Look for our ad in the Colorado Statesman Newspaper! Why neighborhood caucuses? Only way to fight this corruption, then or now. Reporters? Editors? Publishers? Why poor Caucus coverage? Journalism students discuss covering caucus, primary. Economic crisis can produce rapid political change for the worse. War of words in Caucus vs Primary. Clearly a decision was made to start a campaign to kill caucus states and replace them with Presidential primary elections. Healthy caucus-assembly is the best chance the common person has of serving in elected public office or helping other good people to get elected. Words kill. Colorado Caucus symbolizes unity, the fact that we are all in this together. Colorado caucuses symbolizes fragmentation and disunity. The Iowa Caucus gets way more publicity, being the first in the nation. So it was the target of the logo-warfare, that's why Wikipedia has no listing for Iowa Caucus, believe it or not. Why so little newspaper coverage of largest event in Colorado? Why have the newspapers virtually ignored the Colorado Caucus? It hasn't always been this way. Many remember when the Rocky Mountain News and the Denver Post both printed lists of all caucus locations. This and much more could have easily been done this year. There could have been a series of stories that would have helped newcomers to Colorado politics understand the real purpose of neighbors gathering every two years to control the political party of their choice, and why this process is the best way to overcome the political advantage of the rich and powerful that party bosses tap into without this process. Why did no newspaper ask their readers to be citizen journalists from their caucus? Look at all the photos that were being taken this year, how many of them were printed in newspapers across the state? If the Colorado Press Association wants to encourage newspaper readership, this is the sort of thing it should be encouraging. Why not give an award this year to the newspaper that did the best job of covering the Colorado Caucus and the meetings that result from it through election day next November? Now is the perfect time for papers to be writing about the two upcoming state conventions and assemblies with the delegates that were elected this year, and to write thoughtful editorials about why both political parties should make getting rid of current "leadership" their first order of business at their state conventions.